She has 35 years of business experience and work in 12 step programs that greatly enhance her work with couples around financial issues, partnership and spirituality. 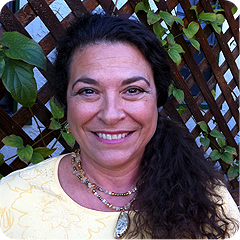 Maria became an Imago Therapist in 2002 undertaking a comprehensive training program. She completed an additional intensive training program in order to become a Certified Getting the Love You Want couples workshop presenter in 2010. In addition to her Imago Certification training, she has also done extensive training in Emotionally Focused Couples Therapy and Gottman Couples Therapy. Also, she uses extensive Somatic therapy in her sessions to deepen the work and bring people into more conscious relationship with themselves and with others. She is dedicated to guiding people to their presence and deepening consciousness. Maria provides Individual Therapy sessions, 50 minutes, Imago Couples Therapy sessions, 90 minutes and/or half day or full day intensives. Maria's office is located in Del Mar within a fifteen minute radius of Encinitas, Carlsbad, San Marcos, Solana Beach, Cardiff, Leucadia and La Jolla. Maria provides Imago couples therapy sessions, 90 minutes. Also if couples would like to do half day or full day intensives, that service is available. Couples group is also available for graduates of the workshop. Maria's office is located within a fifteen minute radius of Del Mar, Encinitas, Carlsbad, San Marcos, Solana Beach, Cardiff and Leucadia. "...Loved Maria! She had the most calming, peaceful spirit! Thank you! You helped us work hard and see it! She handled everything we threw at her with grace and style. Our struggles turned into opportunities for growth and beautiful connectedness..."
Spaces still available in all upcoming workshops! COUPLES WORKSHOP SAN DIEGO is offered by Maria Monroe, MFT, Patty Mangini, PHD and Michael Scott, MFT certified Getting the Love You Want Workshop Presenters. For more information, contact us at maria@icwsd.com, exeter007@att.net, or gmichaelscott@me.com.